Kornel was very friendly, and he tried his best to answer to every request. The location was also very good and the room was in a good shape. The host was great, he gave us great orientation and information about vienna. Everything was good. Beautiful ultra modern efficiency apartment contains everything that you need and more for a comfortable stay. Only wish we could've stayed longer. Perfect for a couple. Super nice and informative host was a great help! Location, cleanness, bed, welcoming champagne. 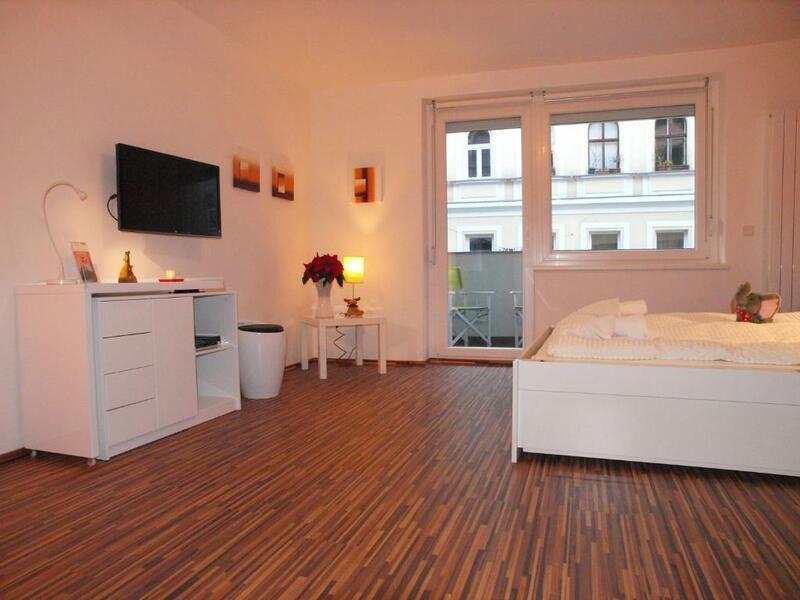 Great option to stay in Vienna. Excellent host! Excellent location, very helpful hosts. Very simple to collect the keys. Highly recommend staying there for either holiday or business. I personally prefer an apartment like this over a hotel. 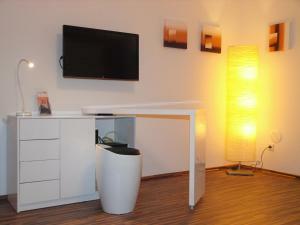 Great Accomodation in a central area of Wien. Metro and Tram Stops are very near. 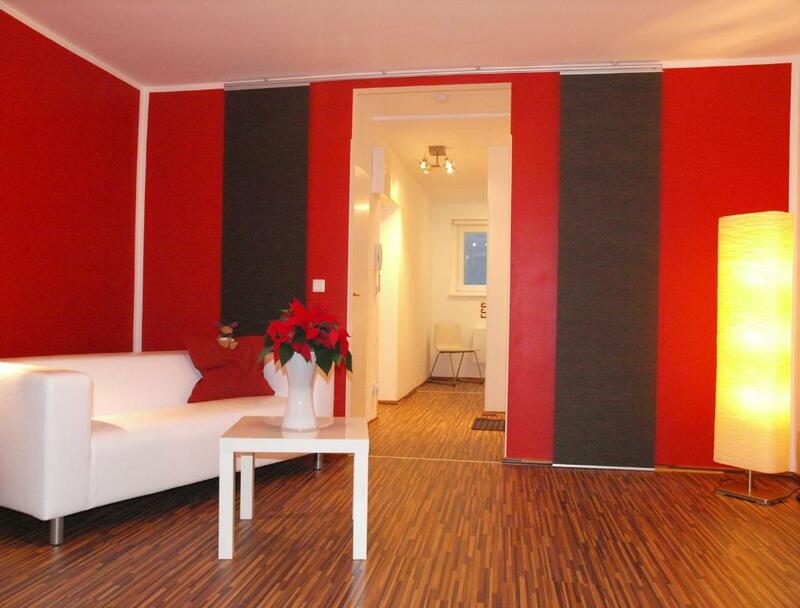 The Small Apartment is comfortable and well equipped. Kornel, the owner, is very kind and friendly. We would like to give more than 10, but it's not possible :D Highly recommended accomodation to visit a wonderful City! Nice, clean apartment on excellent location! It's small one but enough for two persons. The most important thing is that's it's clean! Host is awesome! Very near to public transport. Welcome snacks and welcome drink, very close to restaurants and grocery shops. The host was really very helpful and informative. 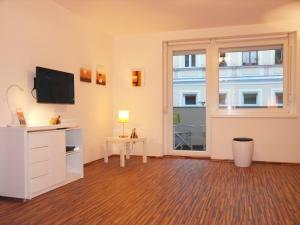 Lock in a great price for Studio-Apartment Augarten – rated 9.5 by recent guests! 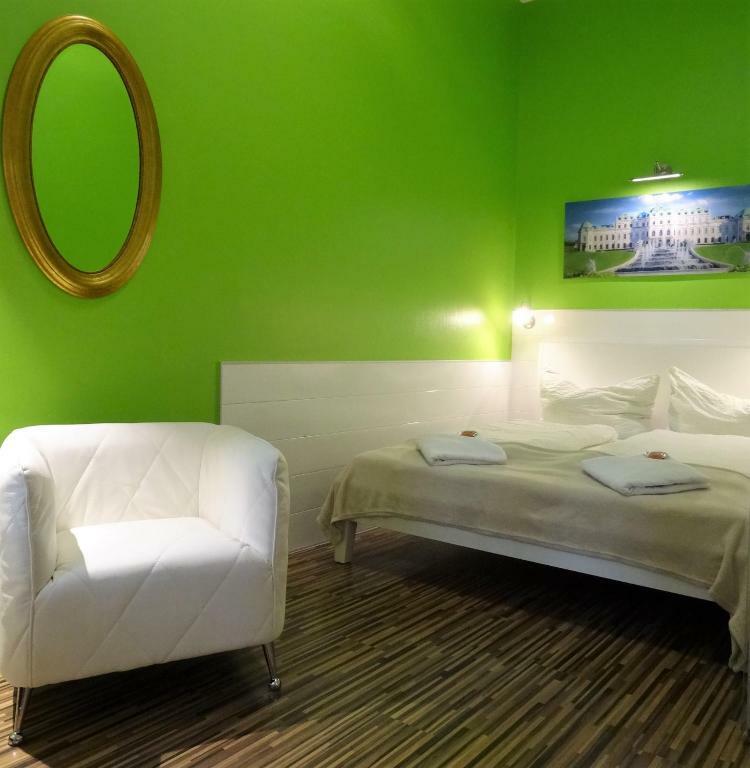 Vienna’s Studio-Apartment Augarten is within 500 feet of several restaurants, a supermarket, the U2 Taborstraße metro stop and the Augarten Palace. St. Stephen’s Cathedral is just 2 metro stops away. The Augarten apartment has free Wi-Fi, modern furnishings, a small kitchenette, a dining area, a flat-screen TV with cable channels, a bathroom with a shower and a separate toilet, a double bed and a sofa. The Praterstern train station is 0.6 mi away, and Vienna Airport is 12 mi away. A parking garage can be found within 650 feet. Parking spaces are available there on prior reservation. 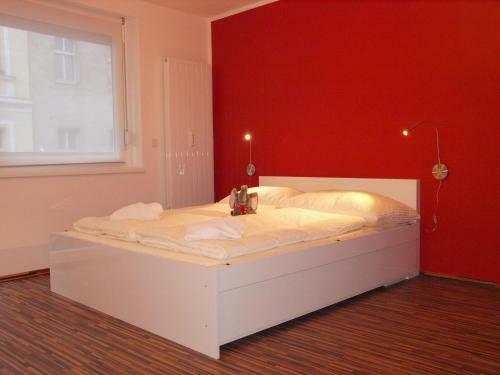 When would you like to stay at Studio-Apartment Augarten? This apartment features views of the inner courtyard, a small kitchenette, a dining area, a flat-screen TV with cable channels, a bathroom with a shower and a separate toilet, a double bed and a sofa. This apartment has a electric kettle, tumble dryer and kitchenware. I am the owner of the property and try to do my best for the advantage of our guests! Area Info – This neighborhood is a great choice for travelers interested in convenient public transportation, old-town exploration and city walks – Check location Excellent location – show map Guests loved walking around the neighborhood! House Rules Studio-Apartment Augarten takes special requests – add in the next step! Please let the property know your expected arrival time at least 1 day before arrival via e-mail and please contact the property 1 hour before arrival to avoid waiting times at the check-in. 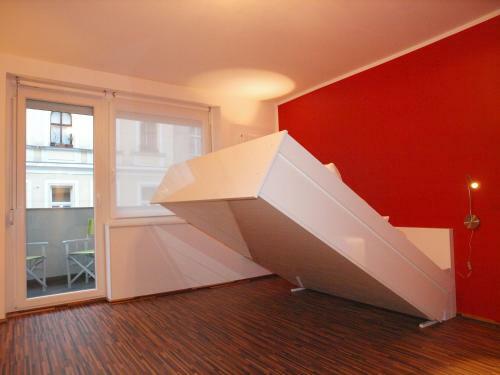 Please inform Studio-Apartment Augarten of your expected arrival time in advance. You can use the Special Requests box when booking, or contact the property directly using the contact details in your confirmation. Very nice, clean and very well equipted aparment. The host was very polite, helpfull and commuicative. We ask to storage our luggages at 10:00 at the arriving date. They clean the apartment very fast and offer us an early check in. Quiet and near the center neighborhood. The toilet a bit small. I liked the apartments, the location, and of course the host is friendly and ready to help at any hourEverywhere they went on foot, everything turned out to be nearby. I liked to walk across the bridge, because of the beautiful view! I really like the apartment. It is really well located, and it also has a metro station nearby. In addition, Kornel (the host) is really a professionist: key pick-up was really easy, he gave us a lot of instructions and advices (concerning car parking, restaurants, sightseeing), helped us with our luggages (kept them safe after check-out for a few hours) and he is really nice. I recommend it 100%! It’s a perfect apartment! Perfectly clean and our hosts were very kind and helpful. The bed is very comfortable (the pillows are amazing !!) and there is everything you need (an umbrella, a shopping bag, à hairdryer, towels, a toaster, a dishwasher, a washing maching ...) and we appreciated the wine on the fridge on our arrival as well as the viennese biscuits. It was also very nice to have our meals on the balcony. 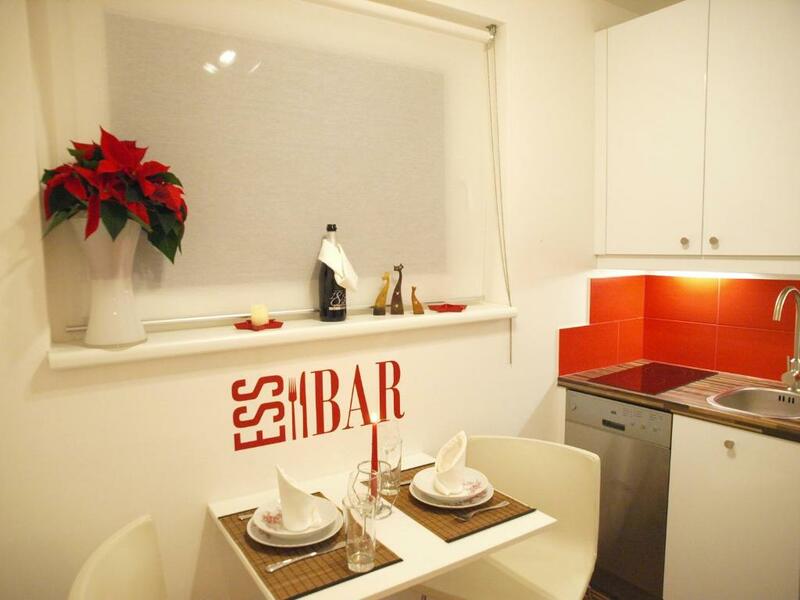 It is situated 5 minutes walk from the subway station and restaurants and supermarkets. We highly recommend this place !! We’ll come to this place if we ever come back to Vienne! What a great host and apartment. Everything was introduced to us in detail and he even reserved a dinner for us in a great restaurant. Exceptional service, thanks! The apartment made us feel like we are at home. We had small kitchen and were able to cook ourselves during the evenings. We were not bothered by our hosts during our stay and were totally independent.